The conditions have been excellent the last two days. Obviously with the Bells easter classic on right now, Bells is off limits. There's a reason why Bells and Winki get the accolades - they picj up the most swell. With today a public holiday coinciding with the contest, any known spots were certain to be crowded. A favourite spot i've had to myself many times was doing a superbank imitation with 60 people out, so a bit of hunting was called for. 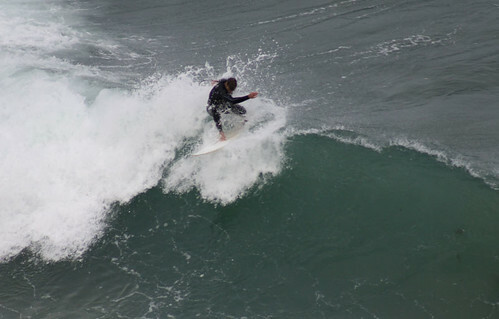 The driving paid off eventually - I got some waves with relatively few in the water, and beat the afternoon wind change. I used up all my credit with the wifey and had to settle for a quick surf closer to home on Sunday - This spot is the first beach at the end of a dirt road. So while Parko was killing it in front of the paparazzi, I took note of one unknown laying down some respectable tracks. Conditions turned to shite again just in time for work...fabulous! 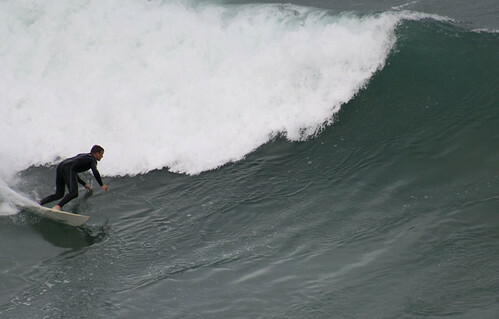 My Lil' Bro is between Jobs...he came down yesterday, dragged me out of the shaping room, force-fed me coffee to amp me up for a wave. Nice straight swell but limited options with an upcoming tide led to an onshore suit-up and-go surf. It's good what you find sometimes when you go out without looking! Some nice lefts as the wind backed off. A jump in swell size and a respite from Sou-westers made for a classic Vicco afternoon yesterday...not the biggest but clean and regular enough. The spot at the end of the road again...a great reason to leave work early and surf by moonlight! The conditions look like holding for a couple of days...apologies to anyone whose board is late! Hey - It's been a while again - Not that tehre's been no waves worth reporting, but that I have'nt had my s%$t together for pics. The last few days have been classic - great conditions and weather. I'm surfed out ! Its been a long time since I had 4 surfs in 3 days. Unknown - Mini-simmon's-ing it at Mumbles. I'll be resting up for a few days now...once again just as the surf goes to crap. What a difference between coasts was on the Mornington last week Gunnamatta to Portsea big messy and cross shore, thought the Flinders area where I was based might cop some of the swell cleaned up.NUH, the devil easterlies blew it flat and to bits the insides of Phillip Island Flynn etc would have been great as the bommies in Western port Bay were doing it.Me I just clocked up some serious brownie points with my wife.In all my years I've never had a decent surf in Victoria, my record remains intact.